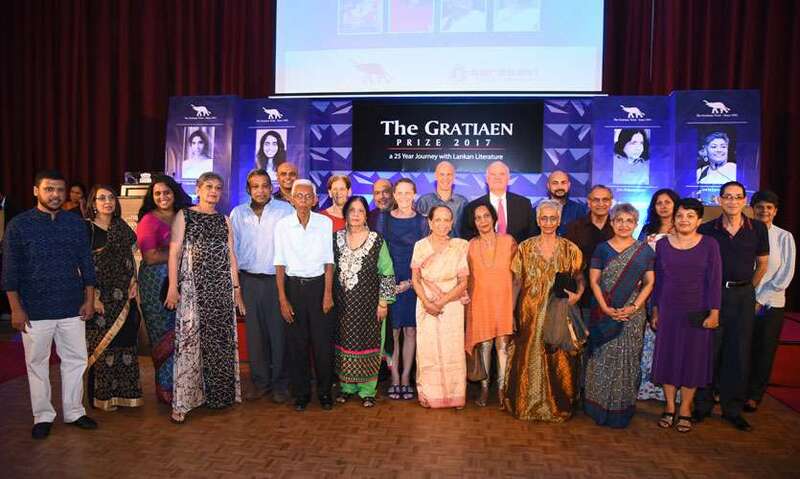 Stepping into its 25th year of appreciating creative writing in English, The Gratiaen Awards ceremony recently concluded with Jean Arasanayagam’s ‘The Life of the Poet’ grabbing the coveted Prize. 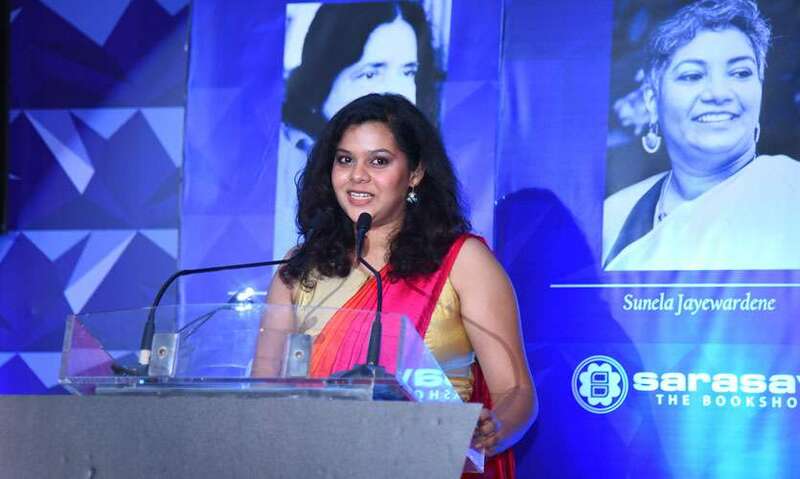 As in the previous years, four works of creative writing were shortlisted and this year’s list included a travelogue, a collection of poems, a collection of short stories and a novel - The Line of Lanka by Sunela Jayewardene, The Life of the Poet by Jean Arasanayagam, Names and Numbers by Chiranthi Rajapakse and A House down Queer Street by Neshantha Harischandra respectively. Each piece of work was read through and evaluated by an expert panel of judges including Professor Carmen Wickramagamage, Andrew Fowler-Watt, and Michelle de Kretser. In his opening remarks, Professor Walter Perera, Chairperson of Trustees said that the Trust’s acceptance of manuscripts on the basis that not all Sri Lankan authors can afford to publish their work is unique in literary prizes in Sri Lanka. “At the outset, entrees were restricted to publish books. In 2002 translations were also part of the competition but it discontinued when a separate H. A. I Goonetileke prize for translations was established. Writers and other literary aficionados have rightly or wrongly argued that translations were not original works and putting them along with others was a fraught exercise. The Trust is limited to administering a prize. 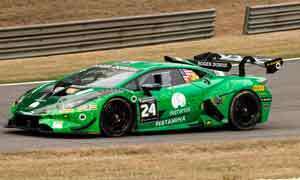 But it has undertaken other ventures as well. Chief among these was the Translation project. In 2002 N.U Nuhman, Ranjini Obeyesekere and Ashley Halpe were commissioned to edit ‘The Lankan Mosaic’ - translations of Sinhala and Tamil short stories. Subsequently, the Sinhala stories therein were translated to Tamil and vice versa. Michael Ondaatje felt that such a venture would help in a small way to establish inter-ethnic harmony. The Translation Project was completed when two significant novels each in Sinhala and Tamil were translated to English and was published. The Trust also held a workshop for writers using some of the submitted manuscripts. 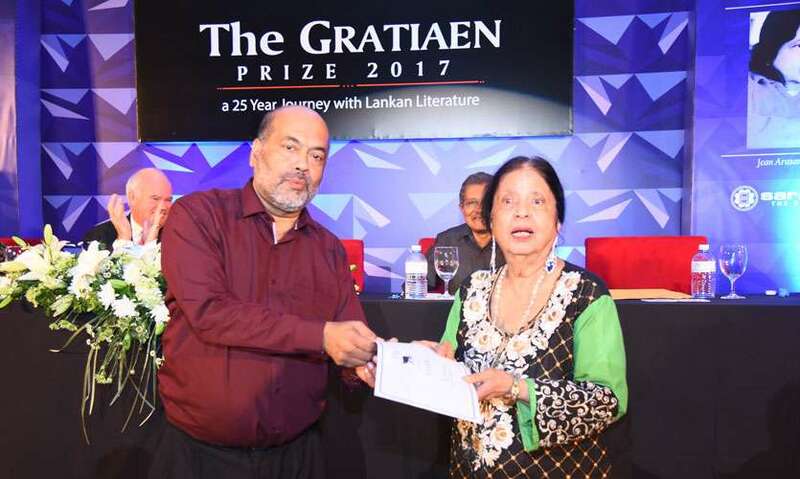 That the Gratiaen Prize has survived for 25 years despite being governed by a voluntary group of individuals whose only reward is the satisfaction of promoting writing in English is a considerable achievement. 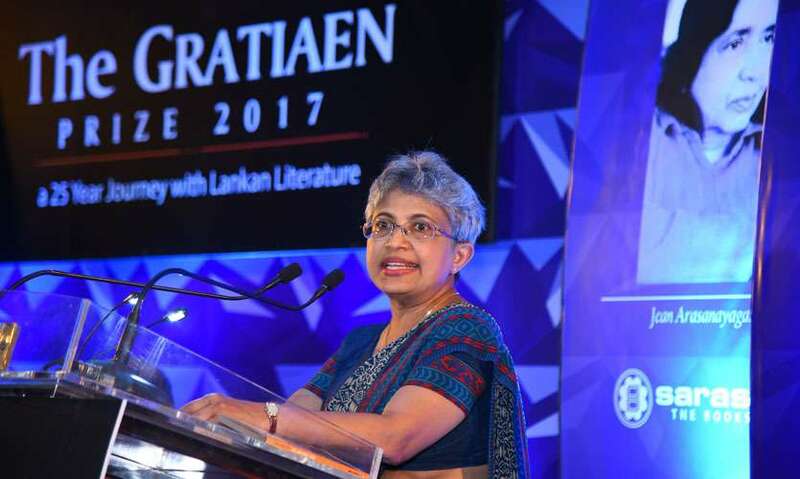 Professor Carmen Wickramagamage, Chairperson of the panel of judges said that people may wonder what has been the impact of the Gratiaen Prize on creative writing in English in Sri Lanka. “One may wonder whether a Prize could decide on directions and quantum of writing or is that exaggerating the importance and impact of a literary prize on an activity i.e creative writing, which is essential and private. 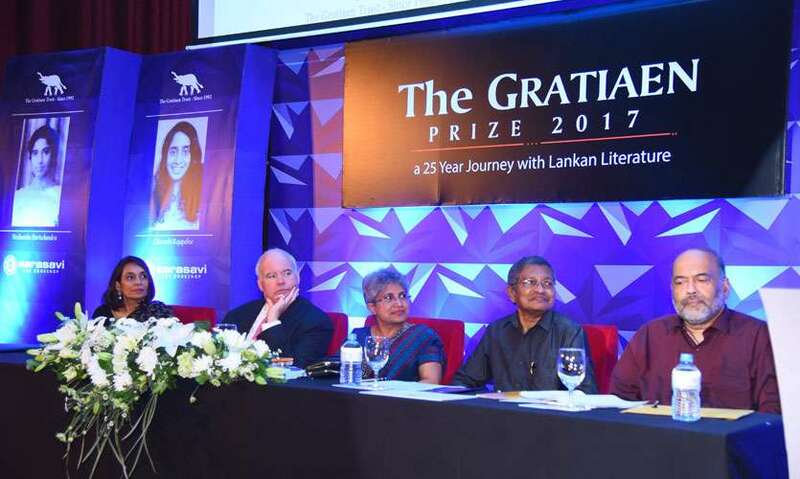 Perhaps, 25 years on, a critical evaluation on the ripple effect of the Gratiaen Prize for creative writing in English in Sri Lanka is timely. This year during our tenure as judges we had 56 entries to read and they were of different genres. The books this year belonged to all genres of literature including fiction, drama, poetry and non-fiction and writers drive their hand at innovating in various sub-genres. In the fiction category, there were realistic novels, short stories, fantasy, science fiction, steam-punk, children’s fiction, mystery novels, and thrillers. In poetry, there were those ranging from those adapting to traditional forms to those writing free verse and performance poetry. Only the genre of drama looked poorly represented which of course raises a question why most Sri Lankan writers in English appeared to be riding away from that particular genre. 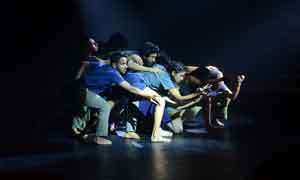 In the past, a couple of drama texts have won the prize. What was most surprising was the fact that a number of writers were trying their hand at non-fiction from travel writing to memoir. What was noticeable in these memoirs was that the writers were able to capture a strong sense of place and time in their writing. But in the case of some memoirs nostalgia seemed to be interspersed perhaps even relieved by a dash of humour or light satire. I am not casting any aspersions on Jean Arasanayagam who is a good writer, and I believe, a good painter as well, but I am sad to note that the Gratiaen Prize seems to have turned into a sort of family affair. Thiyagarajah Arasanayagam got the prize for 2015 and his wife gets it for 2017. For 2018, the daughter, maybe? 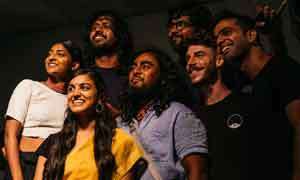 As Rajpal Abeynayake rightly said some time ago, the Gratiaen has become symbolic of the incestuous world of the Colombo literati, where contestants, judges and administrators of the Trust, are all members of a sort of cosy club. Surely, this is not what Michael Ondaatje intended? The Chair of the Gratiaen Trust, Prof. Walter Perera, must take much of the blame for the sorry state into which the Prize has fallen, though he has been ably assisted in his destructive endeavour by assorted literati, glitterati, paparazzi and similar fauna.